Barcelona City Rooms is located in Barcelona’s Eixample district, just 5 minutes’ walk from Gaudí’s iconic Sagrada Família. The rooms at Barcelona City Rooms feature tiled floors. Each one comes with a flat-screen TV and a private bathroom. Bed linen and towels are included. Barcelona City Rooms is located opposite a supermarket. The spectacular Hospital Sant Pau is a 10-minute walk away. Sagrada Família Metro Station connects you with the city centre in 5 minutes. Please note that reception is open from 08:00 to 18:00. 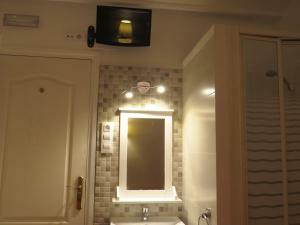 This spacious room is equipped with air conditioning, free WiFi, TV, a safe and a private bathroom. This air-conditioned room comes with heating and a kettle. 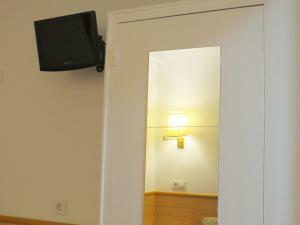 The room includes a flat-screen TV. Inside the room guests will find a shower and a hairdryer. 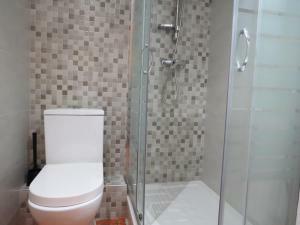 The bathroom is situated outside the room. Rate: € 32.12 ... € 115.30; select dates below to get current rates. 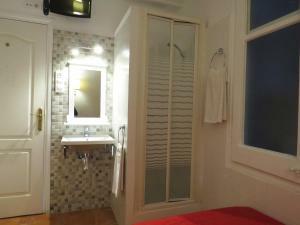 This double room has air conditioning, cable TV, free premium WiFi, heating and a private bathroom. 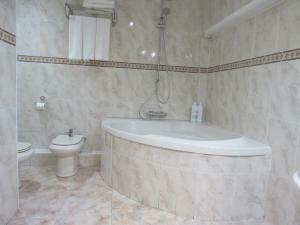 This triple room features a tile/marble floor, air conditioning and electric kettle. This quadruple room has air conditioning, cable TV, free premium WiFi, heating and a private bathroom with free toiletries.